A young penguin, who is not very tall and a little tubby. He has some problems with his eyesight. Completely unfashionable: cap with a huge peak and enormous glasses on his beak. He always has the medallion with the large “P” on in that shows he belongs to the Polaretti Team. His mum, Puntiglina, is excessively caring and she is the reason behind is unfashionable style. He doesn’t have a father. 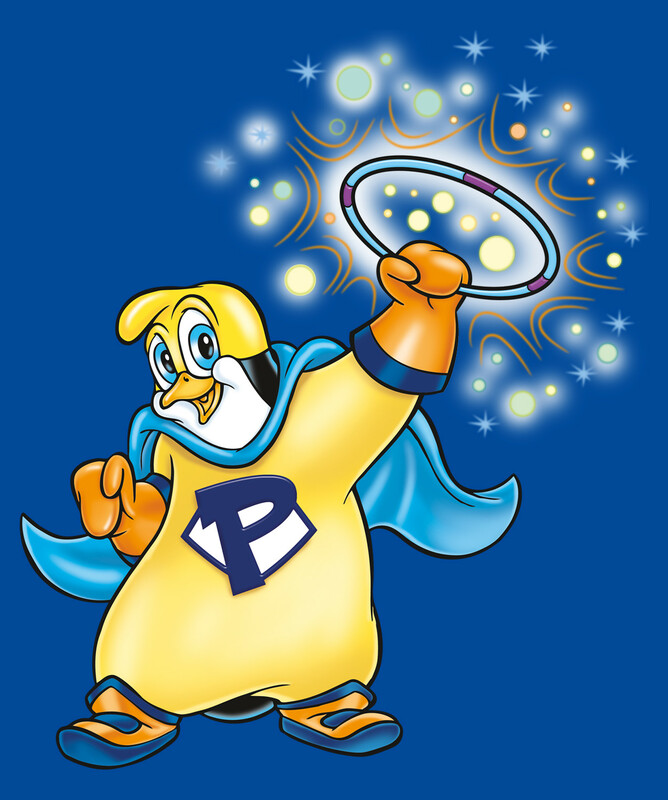 When he blows inside a magical ring he produces a gigantic bubble that becomes a safe haven for the Polaretti Team, making them invisible defends them from enemy attacks. 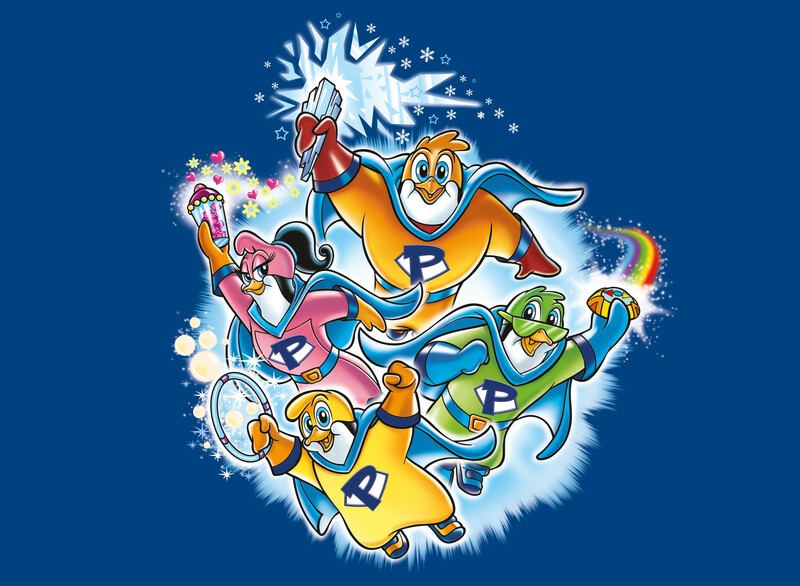 He is one of the Polar Team’s Super Heroes! 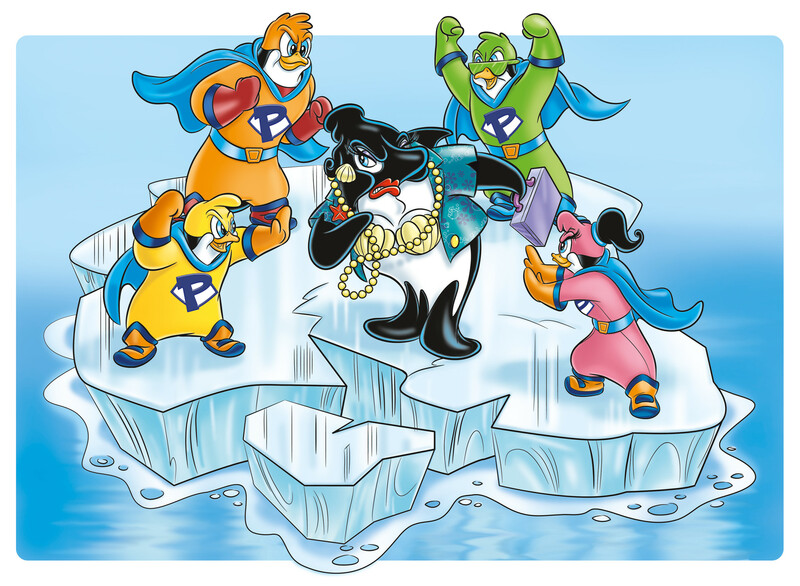 DISCOVER the true identity of your favorite superhero and SEND your super polar message. Young and attractive penguin, she has a beautiful figure and soft facial features with long and mischievous eyelashes. Very vain and obsessed with how she looks. Young penguin average height and weight with a rebellious tuft of hair. Lively, dynamic and hot-headed. He gets into “trouble” easily, but of the good kind! He is often distracted by daydreaming of thousands of adventures! 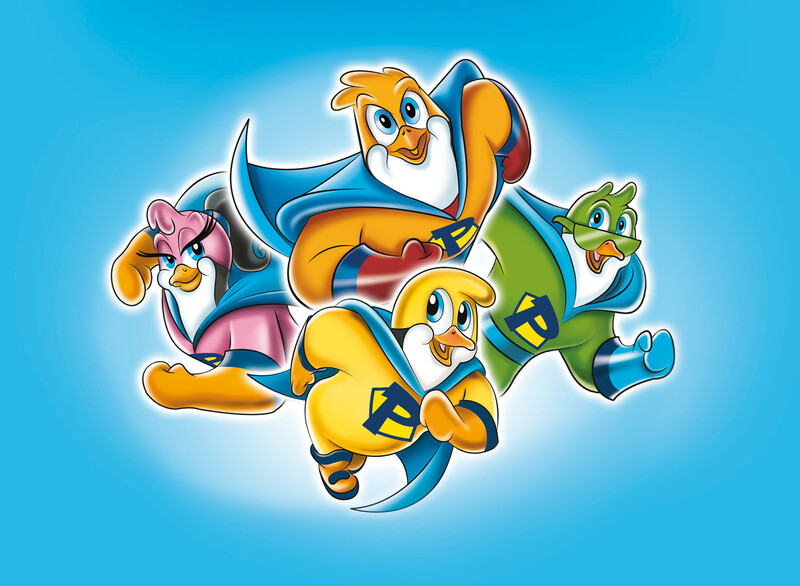 A young, tall and muscular penguin that is very self-confident. Strong and decisive he never loses his cool. He is the leader of the Polar Team and Polarmoro’s best friend. He always has the medallion with a large “P” around his neck which shows that he belongs to the Polaretti Team. Write a letter to Mr. Polaretto to tell him your great and adventurous days!